I have nine symphony’s that I created utilizing electronic feedback sounds. The text page of each symphony will tell you how this all came about … about a kind of ‘presence’ that came to this undertaking. I have four of my symphony’s on this blog now. You can backtrack to find No. 4 No. 1 and No. 9. I will have all nine soon. I also have a pdf file of my new “The Way We Were” that I can send to anyone who wants it. I sell this book at my gallery. I can sign my book this way. It also available on Amazon and Barnes and Noble as an E book. A paper back in my gallery is $15. The hard cover is $24. I have altered my price for this book because I am a nut. Honestly, I do not know exactly what to price my book. People tell me they paid such and such a price, in my town Book store (Battenkill Book Store) and other places. You can also get one from the publisher, http://www.xlibris.com. 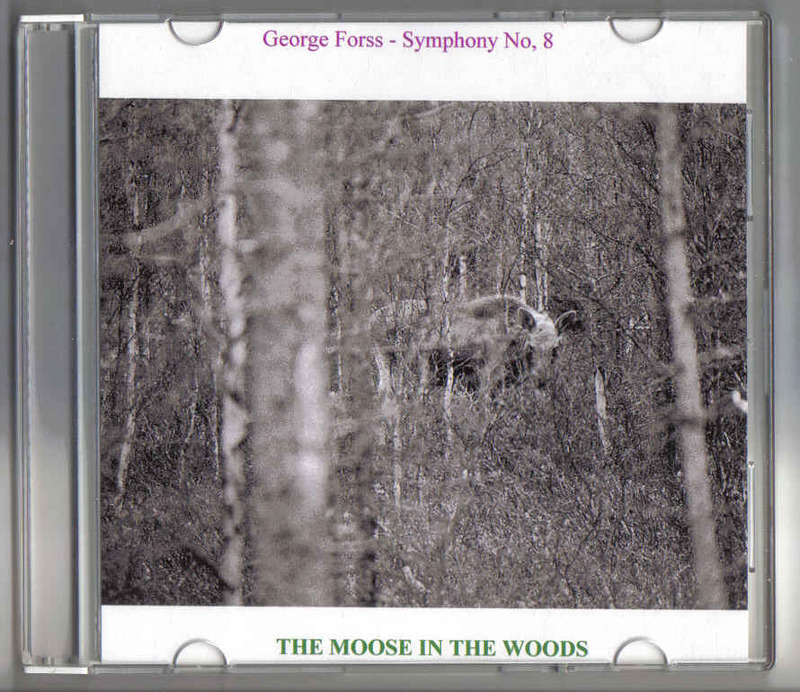 OK Turn on my symphony and you will have a large Moose in your listening area. This moose will get close to you to sniff you ! It runs away eventually with a large honking sound as it goes. George forss / Ginofor Gallery 38 West Main Street Cambridge NY 12816 George.forss@yahoo.com http://www.ginoforgallery.com 518 677-3288.